WELD COUNTY, Colo. – New documents are shedding light on Christopher Watts, the Colorado man who will spend the rest of his life in prison for the murders of his pregnant wife and their two young daughters. In response to a Colorado Criminal Justice Records request, CBS Denver received more than 2,000 pages of documents from the Weld County District Attorney in the case. Watts killed his wife, Shanann and their two daughters, Bella and Celeste in August. He pleaded for their safe return, but was arrested days later. On Nov. 6, Watts pleaded guilty to the nine charges he faced, including five counts of first-degree murder. In addition to the murder charges for Shanann and his daughters, he also pleaded guilty to two counts of murdering a child, one count of unlawful termination of a pregnancy and three counts of tampering with a deceased human body. On Monday, the judge sentenced Chris Watts to three consecutive life sentences, along with two other life sentences to be carried out concurrently, in addition to 48 years for unlawful termination of pregnancy for the death of the unborn child, and 12 years each for three counts of tampering with a deceased body. In an interview with Thornton Police, Watts' alleged mistress Nichol Kessinger said from her perspective, Chris and Shanann "did not get along well and their financial life was also troubling. She said Chris was struggling with finances and now he had a third kid on the way and she does not know if he could afford another kid. Shanann was not responsive to this financial trouble. Nichol said Chris always told her he wanted a third child and wanted a boy." Kessinger told police she does not think she is the only catalyst for the sequence of events. She does, however, believe that being in Chris's life may have "accelerated the process." She feels "money is the biggest catalyst for this event happening." In that same interview, Kessinger said she could not think of a reason for why Chris would have hurt his children. She continues, "The only thing she could think of was that the kids may have seen him killing Shanann so he chose to kill them as well." 2234 hours: Shanann added (to Chris), "Being away from you, it's not the help I missed because I handle that. lt was exhausting, but with school that's not hard. I missed the smell of you, you touching me when l'm cooking, you touching me in bed, you touching me period! I missed holding you and snuggling with you. I missed eating with you, watching tv with you. I missed staring at you, I missed making love with you. I missed everything about you. I couldn't wait to touch you, hold you, kiss you, make love to you, smell you, laugh with you. I couldn't wait to celebrate 8 years with you… lf you are done, don't love me, don't want to work this out, not happy anymore and only staying because of kids, I NEED you to tell me." 2300 hours: Shanann asked Watts, "Would you stay with me if we didn't have kids?" 2309 hours: Shanann asked Watts, "l just don't get it. You don't fall out of love in 5 weeks." Minutes later she pondered, "How can you sleep? Our marriage is crumbling in front of us and you can sleep." 2015 hours: Shanann discussed how Watts' mother gave Celeste ice cream with nuts in the ingredients. Shanann felt this was done in defiance of Shanann's warnings of Celeste's food allergies. Shanann told Watts, "You should call your dad and tell him you did not appreciate your mom putting your daughter at risk today, nor do you like that she teased our girls. You should also say you don't appreciate her saying they have to learn they can't always get what they want! (Referring to ice cream) they are 2 and 4! 1802 hours: Shanann told Watts, "l realized during this trip what's missing in our relationship! lt's only one way emotions and feelings. I can't come back like this. I need you to meet me halfway. You don't consider others at all, nor think about others feelings." Watts replied that he was sorry and he loves her. Shanann responded, "l try to give you space, but while you are working and living the bachelor life l'm carrying our 3rd and fighting with our two kids daily and trying to work and make money. lt's not hard texting love you and miss you. lf you don't mean it then I get it, but we need to talk. I kept looking at my phone all night and no response from you. Like seriously! We didn't just start dating yesterday! We've been together 8 years and have 2.5 kids together." In a phone search conducted by authorities, investigators found searches on Kessinger's phone for sexual videos and positions, hours' worth of searches for "Shanann Watts," searches including "can cops trace text messages" after the murders, searches for Amber Frey (the mistress of convicted murderer Scott Peterson), if "people hate Amber Frey," and Frey's subsequent book deal. 1010 hours: during a respite following the murder of his family, and disposing of their bodies at a desolate well site, Watts searched Google for the lyrics to "Battery" by Metallica. "Lashing out the action, returning the reaction – Weak ore ripped and torn away – Hypnotizing power, crushing all that cower – Battery is here to stay Smashing through the boundaries – Lunacy hos found me – Cannot stop the battery – Pounding out aggression – Turns into obsession – Cannot kill the battery – Cannot kill the family – Battery is found in me Crushing oll deceivers, moshing non-believers – Never-ending potency – Hungry violence-seeker, Feeding off the weaker – Breeding on insanity Smashing through the boundaries – lunacy hos found me – connote stop the battery – Pounding out aggression – Turns into obsession – Cannot kill the battery – Cannot kill the family – Battery is found in me – Battery, Battery Circle of destruction, hammer comes crushing – Powerhouse of energy – Whipping up o fury, dominating flurry – We create the battery Smashing through the boundaries – Lunacy hos found me – Cannot stop the buttery – Pounding out aggression – Turns into obsession – Cannot kill the battery – Cannot kill the family – Battery is found in me." 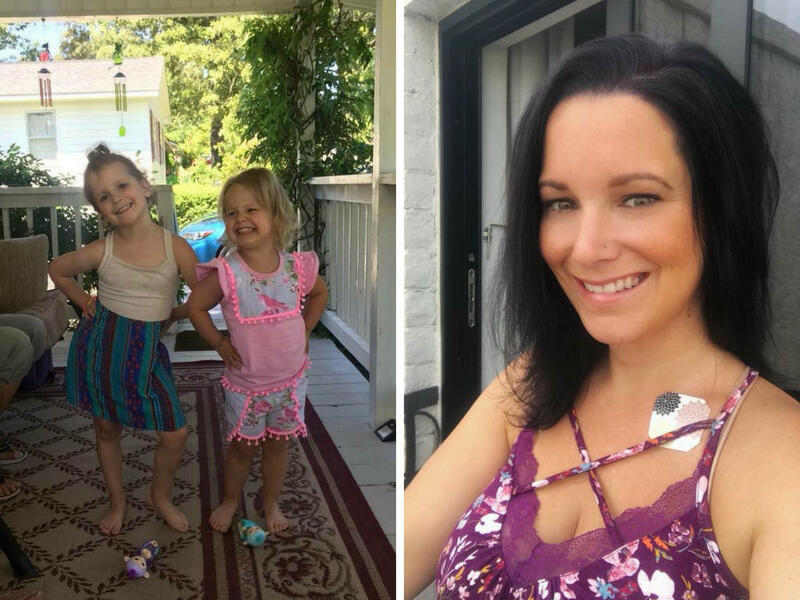 On August 15, Chris Watts submitted to Frederick Police for a polygraph test. He came in loose clothing and no wedding ring. Testers determined he was lying during the polygraph. When confronted about the deception and after a long conversation with the tester, he admitted to killing his wife while sticking to the claim that she killed the girls. He admitted to putting the girls in the oil tanks.